If you qualify, Provantage can provide you with tax-free shopping! Provantage is required to collect sales tax when shipping to certain states. However, some organizations may be exempted from paying sales tax through us. These are often dealers, government agencies or contractors, public schools, or other public sector entities. To qualify for a tax exemption from Provantage, an organization must first provide us with a copy of its letter of authority, tax exemption certificate(s), or reseller certificate(s). If you do not have this, you may need to consult with someone in your organization. Please note that a business license is not a valid document for tax exemption. 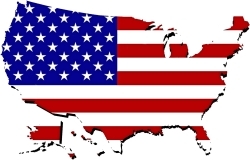 A tax exemption or reseller certificate from each state to which you will be shipping. A letter of authority if you are a government agency or contractor. Please allow a business day to get you registered (hours are Mon-Fri 9am to 6pm EST). Email to tax@provantage.com or fax to 330-494-5260. Please be sure to indicate the email address of the account you will be using, as this is how your registration will be referenced. Once you have registered with us for a particular state, you will no longer be charged sales tax when we ship there. If you ship to another state, you may have to register it with us ahead of time. To avoid any delays in placing subsequent orders, we recommend sending us the appropriate documents for each state to which you plan to ship. If you complete your checkout without registering, we may add sales tax to your order. If you change the email address of your account, please email us at the above address and let us know your original email address and your new one. We'll take care of it for you. You may not have nexus with a particular state and may thus not be required to collect taxes yourself. However, any nexus that Provantage has with that state still requires us to collect sales tax from you.